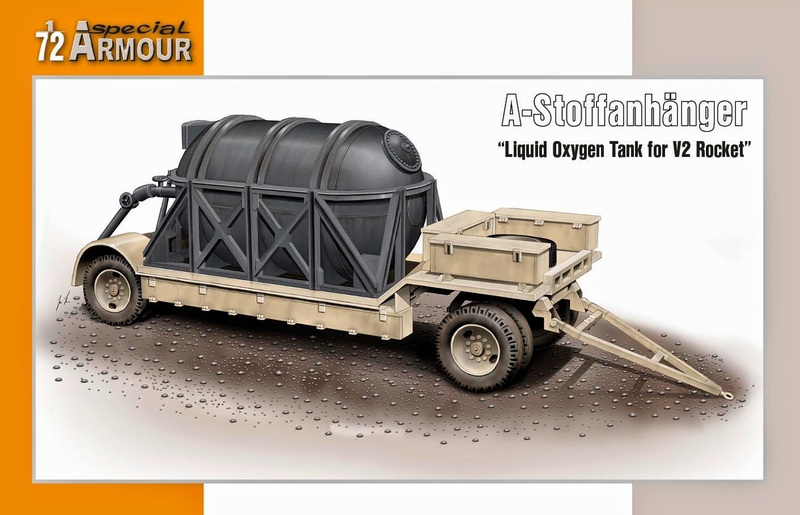 The A-Stoffanhänger “Liquid Oxygen Tank for V2 Rocket” will be our next model in the Special Armour range of kits that are injected to metal moulds. As the name suggests, it is a fuel tank for the V2 rocket (models SA72003 V2 Rocket and SA72014 V2 Prototypes). So, as you already can transport your V2 models or erect them on the launching platform (models Special Armour: SS-100 Gigant tractor, Vidalwagen and Meillerwagen transporters), you will be also able to fuel them up soon. As the rockets themselves, also the A-stoffanhängers were usualy tugged by the SS-100 Gigant tractors. The model parts are laid out in two frames. 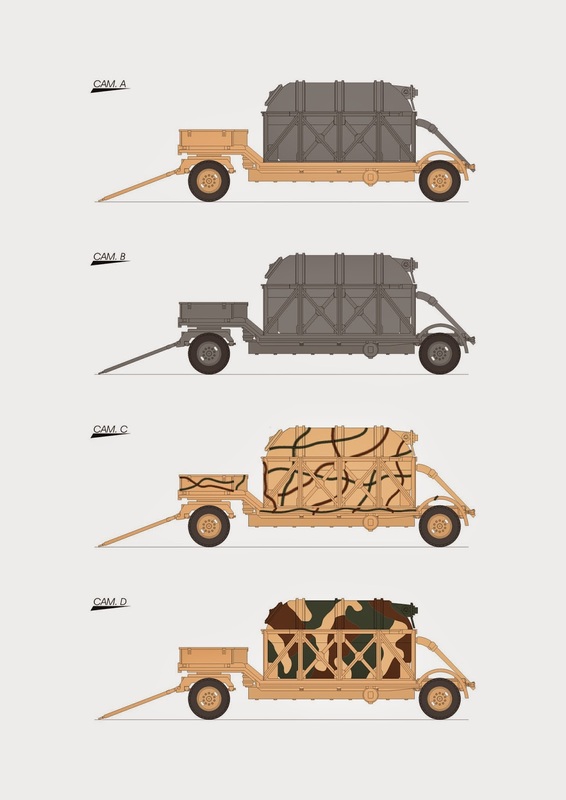 On the basis of contemporary photos, we managed to reconstruct several marking and camouflages options used on the vehicle. The model will be available in early January.